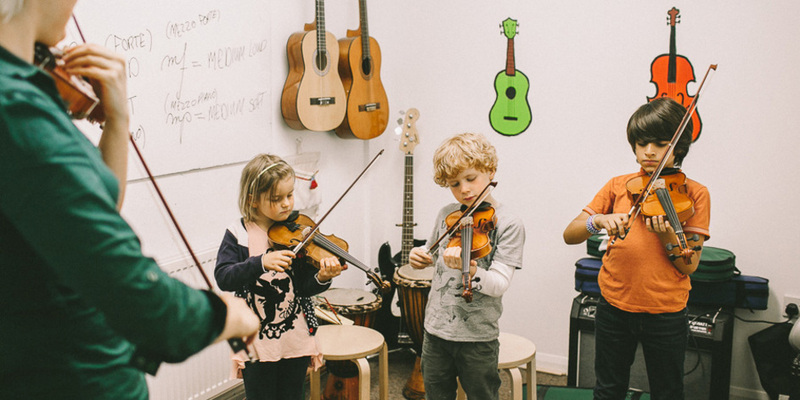 Music House for Children at the Bush Hall offers an array of exciting activities for kids where they get to try their hand at a wide range of instruments from guitars to bongo drums. The music and dance classes for babies and todlers age 0 to 5 years include lots of singing, dancing, playing instruments and puppets which help to introduce pre-school children to music at a young age. Poems, songs, stories and yoga are thrown into the mix for an all-singing, all-dancing, flurry of educational fun. In addition, children aged 5 years and above can take part in group lessons, learning to play the guitar, keyboard, violin and percussion instruments with other youngsters. Private tuition at your home can also be arranged - for adults as well as children. What are the best dining options near Music House for Children London? Music House for Children gyms, sporting activities, health & beauty and fitness. The best pubs near London Music House for Children. Music House for Children clubs, bars, cabaret nights, casinos and interesting nightlife. Where to have your meeting, conference, exhibition, private dining or training course near Music House for Children. From cheap budget accommodation to luxury 5 star hotels see our discounts for Music House for Children hotels, including Hilton London Kensington Hotel from 87% off.